Mailen Design commissioned to construct a one-off development maximising views over Monaco harbour for all the properties. We had previously worked with the client on a number of feasibility studies for private villas in the region. We were initially introduced by a construction company we had been collaborating with in the UK on the development of off-site construction projects, mostly structurally insulated panel and cross laminated timber build schemes. The brief from the client was to create a one-off development and to maximise views over Monaco harbour for all the properties. 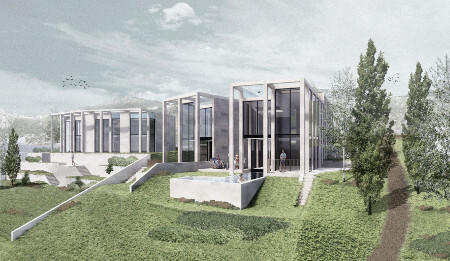 The architectural composition was in response to the local authority's request for a development of striking contemporary quality, nestled into the challenging topography. The design for the luxury two storey villa and four apartments has now been granted a building permit by the local authority, and the scheme is being considered for development by a number of investors. The buildings are designed to complement each other in form and materials whilst maintaining an individuality between the villa and the apartment block. 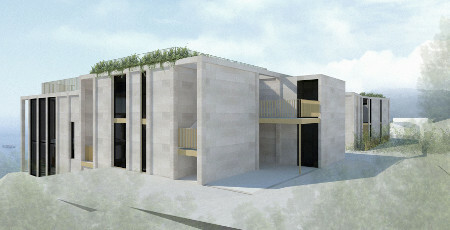 The limestone clad facades with projecting limestone colonnades and integrated louvres at roof level provide a solid appearance with classical proportions and integrated shading. This is punctured with brass clad highlights and balcony balustrades on both buildings. Slim aluminium window frames, anodized with a matching brass finish, are part of the simple and elegant material palette. Ben Mailen, managing director of Mailen Design commented: "I think the client felt we were appropriate because of our commitment to striking contemporary architecture and our passion for exploring well-crafted materials. We approach every project individually with the site context being one of the main drivers. Our experience of allowing designs to work with individual site characteristics rather than fight against them helped in getting the scheme to work with a challenging topography. Previous work for commercial developer clients also helped us balance the floor areas to make the scheme financially viable, whilst creating something which was visually stunning." 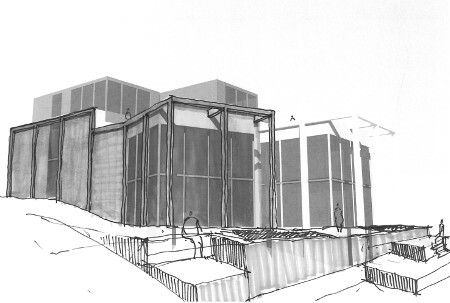 The scheme has divided the site to accommodate each new building. They nestle into the hillside providing privacy to the upper level of the development which faces the primary route into Monaco, with open views from the south facing elevations across the Mediterranean. The villa and apartments each have their own swimming pools. 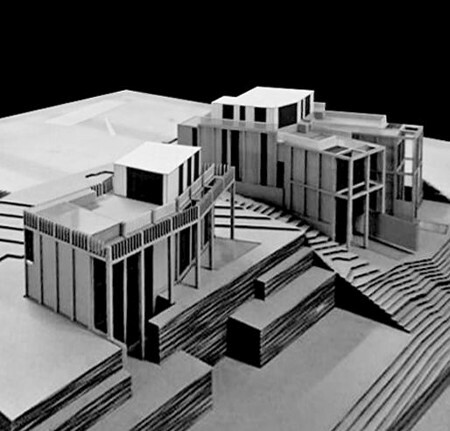 These are at ground level for the villa and two ground floor duplexes, cascading over an infinity edge towards the sea and landscaping below, and at roof level for the two third floor apartments. 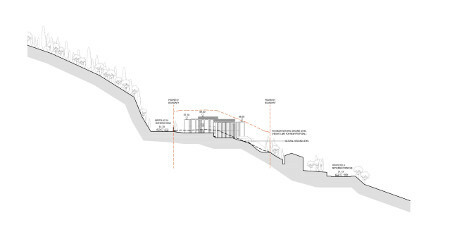 The steep slope of the site was the main challenge for the design. Each of the apartments has a private swimming pool, regardless of where they sit. To have a number of private infinity pools at different levels of the block, all with views over Monaco harbour, is quite unique. 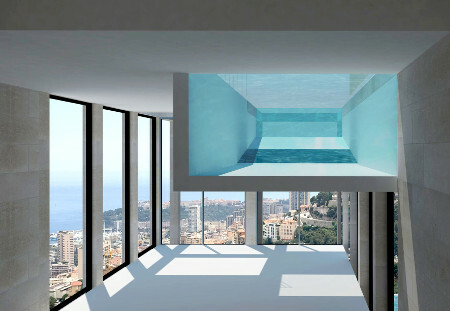 This coupled with the fact that the pools on the upper levels can be seen from within the apartments we think will create something truly special. In early conversations with the local planners they stressed that in order to gain permission for a scheme of this size in this context the design would need to be extraordinary. It also needed to differ from the prevailing vernacular which is regular white boxes with clay tile roofs. We think that our design brings a new level of material craftsmanship and spatial creativity which will hopefully act as a standard for new residential developments nearby.